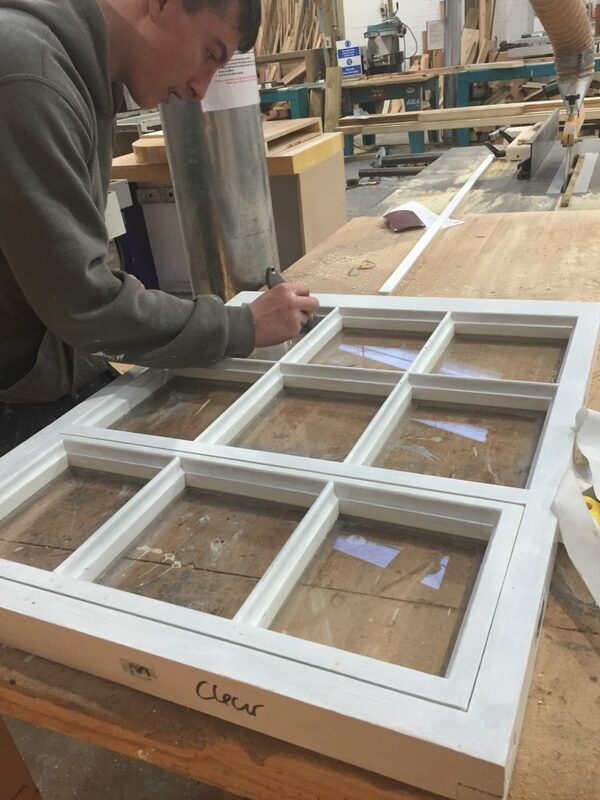 Working to restore, renovate and replicate heritage windows, has become something of a niche specialism for the team at Timberworks Bespoke Joinery. It’s a job that presents a number of challenges, and it can be slow and delicate work. But there is also a great deal of satisfaction that goes with it. These sorts of jobs offer the team the opportunity to put their technical carpentry skills to test, and we are proud to have also developed our knowledge in this area. Over time we have developed our relationships with others working in the heritage space, and we have become a go-to for advice and support. Our apprentice Dan has been working with us for over a year now, whilst he separates his week with college. He has thrived on his time in this changing and varied environment. Everything at Timberworks Bespoke Joinery is hands-on, and whilst there is a great deal of mentoring and support, Dan has been learning very fast. Recent heritage jobs for Dan include his work on a set of heritage windows. These windows were sadly damaged in a house fire, and there has been a great deal of work to revive them. Part of Dan’s job was to ‘putty point’ the glass into the windows, which have been made by team member Robert from a hardwood called Accoya. The wood looks a bit like oak but is slightly paler. Putty pointing was the traditional method of fixing the glass into windows before the days of modern silicon and glazing tape. It’s time consuming, but it will ensure that the heritage windows are restored to their original and glorious state. You can find out more about our external joinery work.